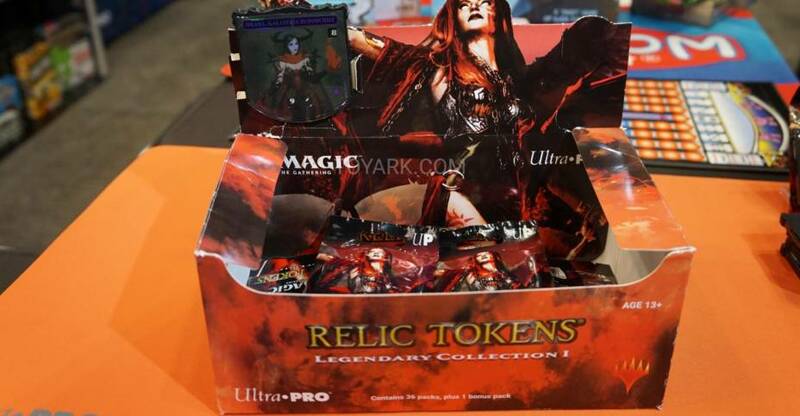 Some of the Ultra Pro cards on display from Toy Fair 2019. 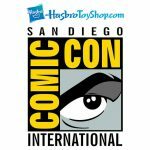 The Hasbro San Diego Comic-Con 2016 Exclusives will be available some time today on Hasbro Toy Shop’s Exclusives Section. The toys are all listed, but they are not yet available for purchase. 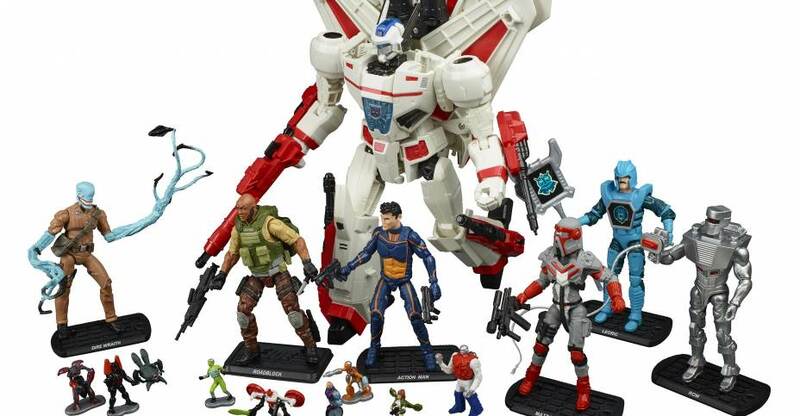 Remember to check the Hasbro SDCC 2016 FAQ for more details. The photos come via Collider. You can see a ton of new posters there as well. 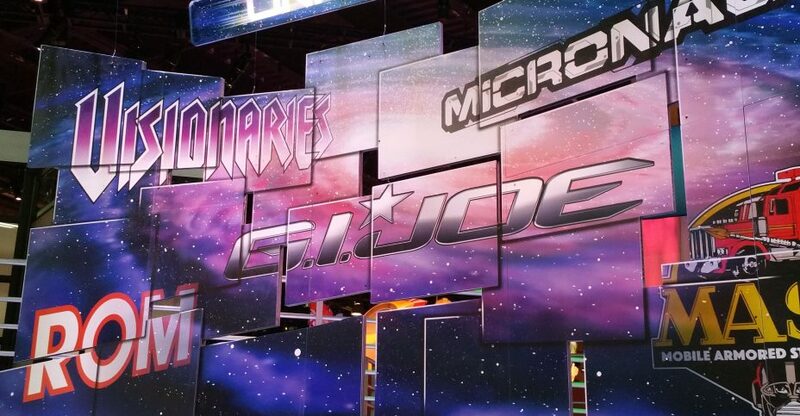 We’ve mirrored the Hasbro images. See them after the jump. The thought process was simple – How can we give our HxC Loyalists the best of TLS, make it insanley EXCLUSIVE, cap the membership for life and as long as our TLS Family retains this Membership we’ll give them the ride of their life, and currency to trade inside the TLS Universe and Community. The Answer was more simple – let’s give them everything under the sun and then some. Only 1000 Members for life and we’ll call it the Super Double Diamond Club. 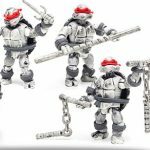 What’s even better – we’ve broken down ALL Exclusives into three colorways; colorways one and two will be 451 units each (same figure). 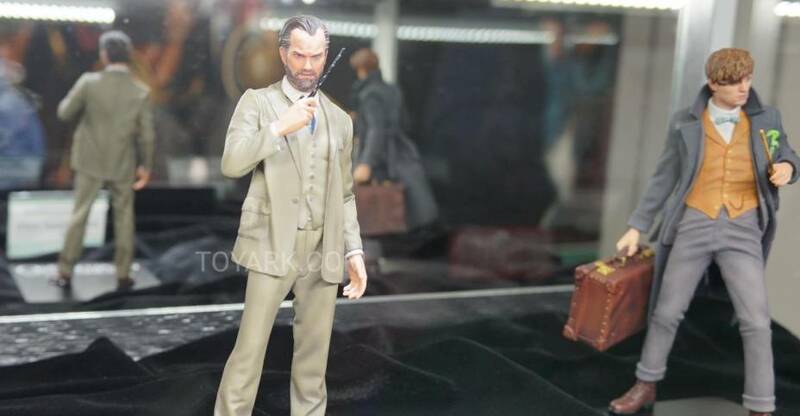 Colorway three will be an exclusive 98 Edition (also same figure sculpt) and randomly dispersed. The 98 Editions will be something very special. This will be currency inside the actual 1000 members. I’m sure there will be members needing the whole colorway assortment. What better way to trade up! 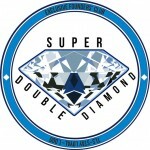 All Exclusives will have Exclusive Blistercard or windowbox packaging with the Super Double Diamond Logo. The figures will be stamped with the Super Double Diamond logo and the Edition of 98 Chase will have a gold flake S.D.D. stamp. We’ve done the math and in all total, product plus redemptions and discounts, this package is valued well over $1,000.00USD. And it costs only $199.00 + $50.00 Shipping and Handling for the year! IF you land one of those chase figures, that’ll probably pay for Three Memberships! International Customers will pay $100.00 for shipping – sorry guys, we’re in L.A. and it goes a long way to get to you. But think about it, we’re actually saving you about $300.00 in total shipping! It’s our thank you to our family who has gotten us this far. We want this Founder’s Club to be the most elusive, sacred and exclusive TLS Club EVER! We have crazy surprises up our sleeves too. Don’t forget, Birthday gifts are included, a 30% OFF ALL SDCC 2016 Exclusives and details on exclusive entry to the TLS SDCC Dinner party – MEMBERS ONLY! Even more exciting – We have created a Lay-A-Way Program for those needing to break up payments. It’ll cost about $40.00 more than just buying the membership up front but is a great option. There will be three offerings on our website – One will be the S.D.D. Domestic Membership, the other will be the Int’l Membership and the third will be the Lay-A-Way Membership – choose which item you want and the store will guide you through the rest of the process. Lay_A-Way participants MUST READ – All deposits are FINAL. If you bail you lose your deposits. You will start receiving product AFTER all 4 Payments of $72.50 are received. Your account will prompt you when your next payment is due. ***IMPORTANT UPDATE: Tomorrow’s Super Double Diamond Membership Offering – Both the Domestic and International Pay In Full Membership packages WILL BE LIVE @ NOON PDT tomorrow, however, the LAYAWAY PACKAGES will not be available until next Thursday at NOON PDT. Reason – the widget needed to create the recurring 30 day billing for 4 months, keep the correct inventory intact and track the single purchase will take a few days to create and test. We’ve gone over this extensively with our web master and unfortunately there will be a delay. We’re trying to create every solution for you guys, even a back end recurring billing system (which our website never had). We know this is important so we’re committed to building this option, you’ll just have to wait a little less than a week to purchase the Int’l and Domestic Layaway packages (for those opting those packages). Let the Force be with all of us. I love you guys, you know that – I’m committed to each and every one of you. Toyark staffer Destro got to attend a gameplay presentation for Toy Soldiers: War Chest. They revealed that Cobra and Assassin’s Creed are the other two licensed character armies for the game. They join He-Man and G.I. Joe along with the proprietary armies from the game series. I don’t have any info on the game itself, but we have a ton of snaps of the gameplay in action.